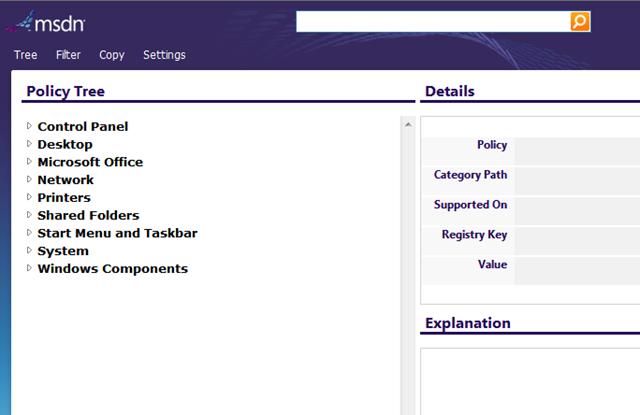 Microsoft have just released a web site that allows you to search for any group policy setting. You can either do a key word search or just browse particular setting. Using a web site like this is a lot easier than having to crack open an existing Group Policy Object to see what policy settings there are available. I STRONGLY recommend that if you have anything to do with Group Policy then add this site to your favourites. Even better click on “Add Search Connector” from the settings menu option and add it as a search provider for you to use straight from Windows 7… AWESOME!!! 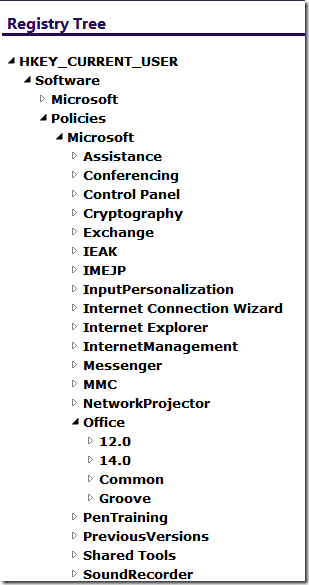 I really like the “Registry View” (see below) you can select from the Tree menu option which allows you to browse all the group policy settings based on the registry key of the policy. 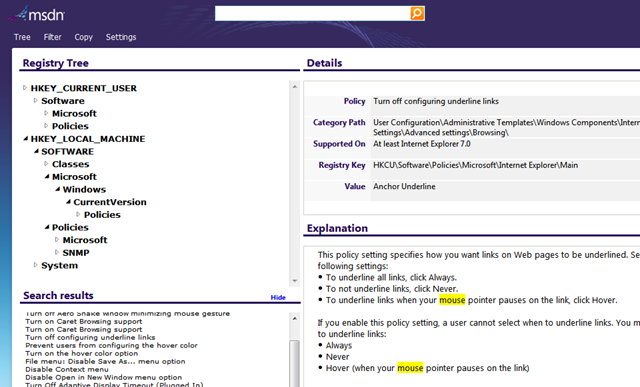 Note: This search tool also has all the Microsoft Office 2007 and 2010 group policy settings included. 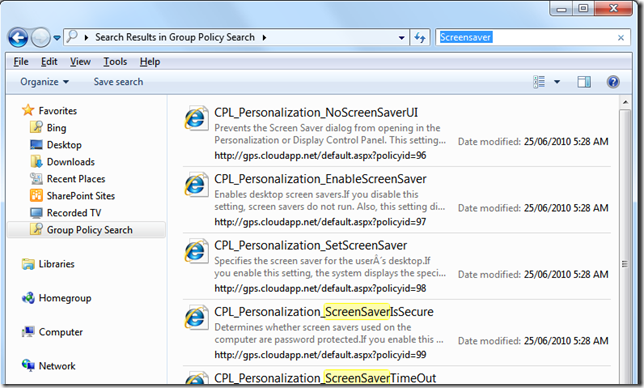 RT @xenappblog: Group Policy Search (Out Now) http://bit.ly/cBt3Oq – Thanks, just bookmarked this one!! 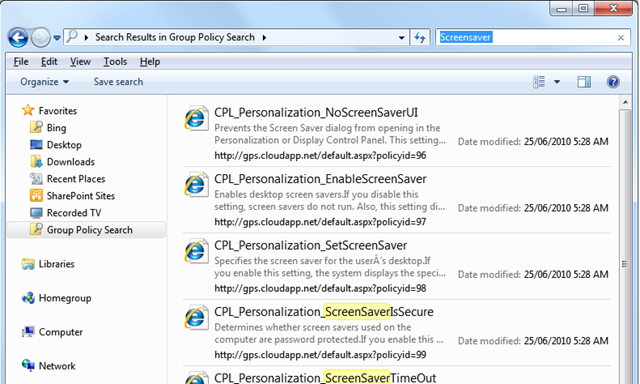 RT @adammarano: RT @xenappblog: Group Policy Search (Out Now) http://bit.ly/cBt3Oq – Thanks, just bookmarked this one!! 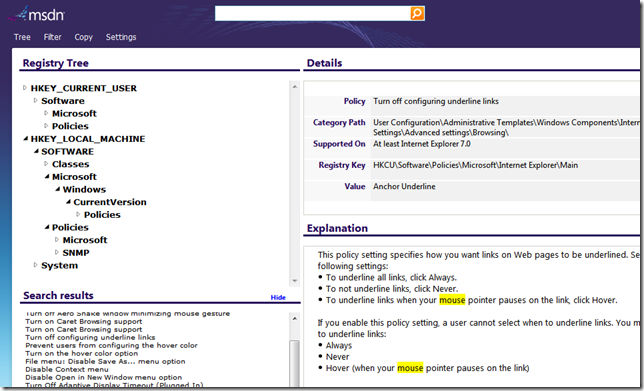 Great info as always, this blog is my #1 resource for Group Policy. 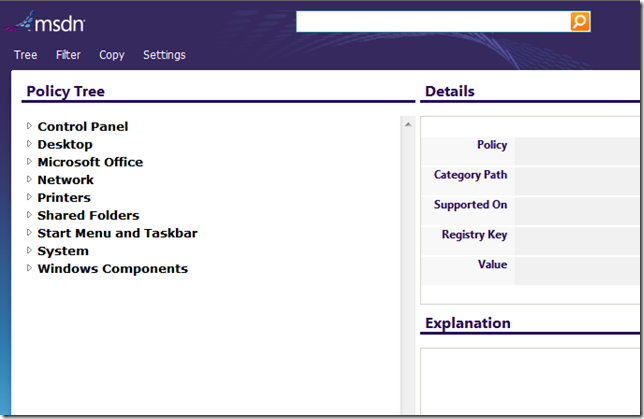 I have created a Terminal Server & XenApp Tuning Tips Group Policy at my site.